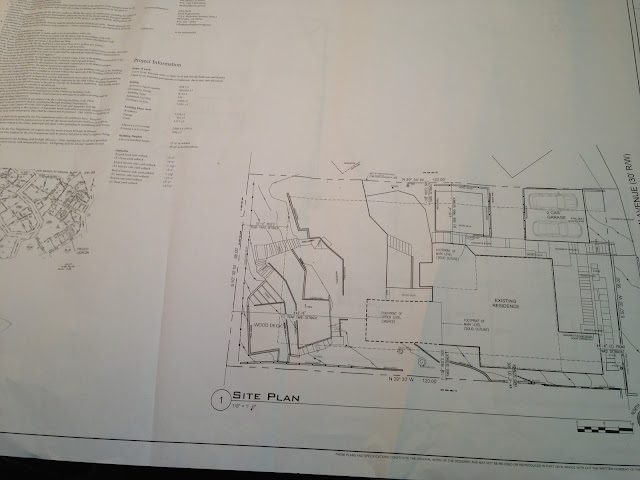 It's official - we have our first draft of a set of permit drawings! Yippeeee! After 2 1/2 years of thinking and thinking and drawing and measuring and measuring again, we have a very clearly defined scope and a digestible project. 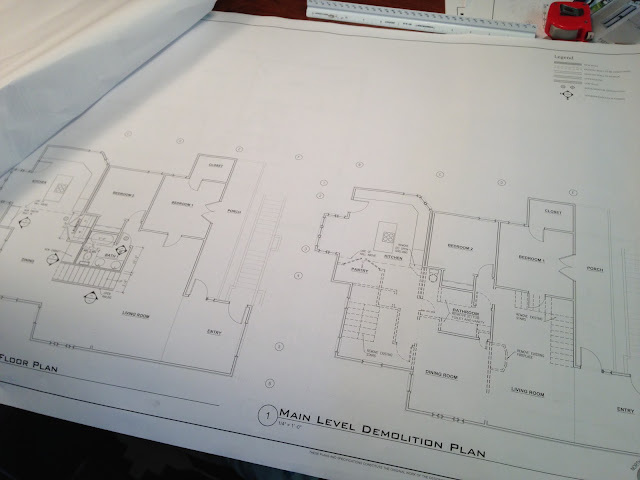 It comes down to removing 2 staircases, building a new staircase, remodeling 2 bathrooms and a few other bits and pieces. 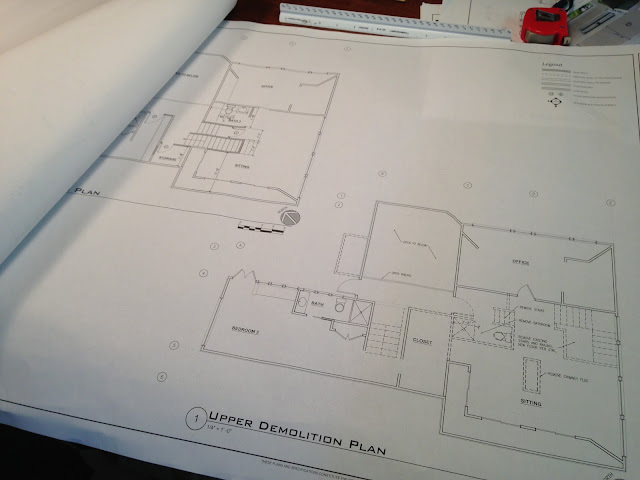 We have some more details to figure out, structural engineering plans to finish and the electrical plan that needs to be designed. I'd say we're 2-3 weeks away from walking into City Hall and dropping off our first set of plans with the building department!